In today’s fast-paced world of real-time access and on-demand services, effective data and communications systems are crucial to a company’s infrastructure. Whether you are looking for a small peer-to-peer system or a multi-campus network, Gettle offers comprehensive data and communications systems for companies of all sizes. Our full-service approach provides the convenience of one point of contact who can manage all aspects of the project, from planning, engineering and design-build through installation and maintenance – maximizing budget and schedule efficiencies. 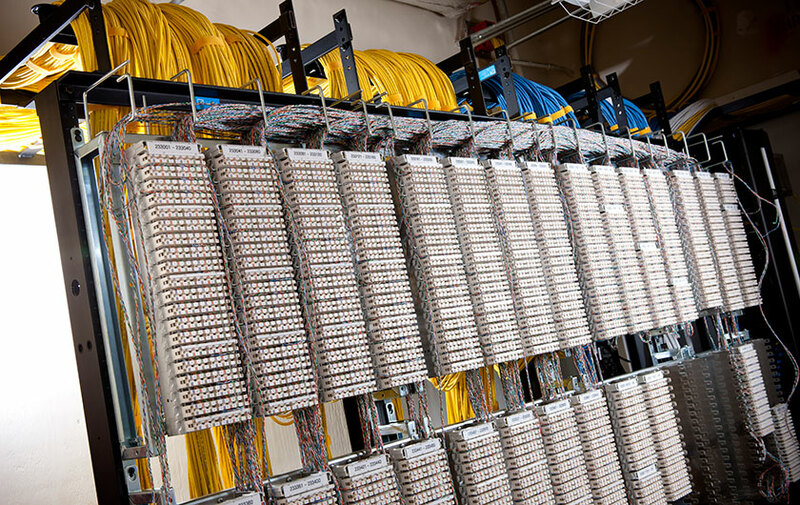 As a comprehensive network cabling contractor, Gettle’s premise wiring and structured cabling solutions range from new system design and installation to current system evaluation and upgrades as well as moves, adds and changes. We maintain relationships with top industry suppliers and are committed to staying on the forefront of the industry through ongoing training and education. In addition to turnkey data communications and network wiring contractor solutions, Gettle offers comprehensive technology system expertise. Our multi-division capabilities ensure optimal system integration and we invite you to check out the links below to learn more about these solutions. We look forward to learning more about your project needs. Reach out to connect with a member of the team to discuss how Gettle’s turnkey approach can add value to your project.